A federal judge ruled that the abortion rights of Missouri women ‘are being denied on a daily basis,’ and blocked two Missouri abortion restrictions. Updated at 11 a.m. April 20 with Gov. Eric Greitens’ comment — A federal judge on Wednesday blocked Missouri’s restrictions requiring abortion doctors to have hospital admitting privileges and abortion clinics to meet the specifications of ambulatory surgical centers. U.S. District Judge Howard Sachs said two weeks ago that he planned to enter a preliminary injunction against the requirements, so the ruling came as no surprise. But in his 17-page decision, Sachs made clear that he was bound by the U.S. Supreme Court’s decision last year in Whole Woman’s Health v. Hellerstedt striking down similar abortion restrictions in Texas. In Hellerstedt, the Supreme Court found that, “in the face of no threat to women’s health,” Texas had required women to travel to distant surgery centers. The two Planned Parenthood affiliates that challenged the restrictions said that, in the wake of the decision, they would soon be offering four more locations in Missouri where women would be able to obtain abortions. The only clinic in Missouri that currently performs surgical abortions is Planned Parenthood’s facility in St. Louis. Bonyen Lee-Gilmore, a spokeswoman for Planned Parenthood Great Plains, said the locations that will be offering abortions are in midtown Kansas City, Columbia, Springfield and Joplin. “And what it will do is it will expand access to safe and legal abortion throughout the state of Missouri,” she said. Attorney General Josh Hawley, who defended the restrictions blocked by Sachs, said he plans to appeal. In his ruling, Sachs said that accepting Missouri’s contention that he should reappraise the abortion safety issue would be akin to trying to undermine the Supreme Court’s 1954 school desegregation decision in Brown v. Board of Education. Sachs noted that the Supreme Court found that the hospital affiliation requirement in Texas cured no significant health-related problem. And he cited the high court’s finding that tens of thousands of women in Texas would have been forced to travel more than 150 miles to find an open clinic had the affiliation requirement been allowed to stand. “This case is not a close one in any event, as the absence of a clinic in central Missouri requires hundreds of miles of travel, round-trip, with two trips needed unless a woman has the means and time available for a long stay in St. Louis or other rather distant clinics,” Sachs wrote. He added that the hospital affiliation requirement, rather than furthering women’s safety, probably creates health hazards for them. Missouri’s hospital affiliation requirement forced the Planned Parenthood facility in Columbia to stop offering abortions there in 2015. Similarly, Sachs blocked the ambulatory surgical center law requiring abortion clinics in Missouri to have facilities suitable for major surgery. The requirements include wide hallways and other physical specifications. Sachs pointed out that the law would require Planned Parenthood’s Kansas City facility, which offers only medicinal abortions, to remodel the facility at a possible cost of millions of dollars. The lack of necessity and “nearly arbitrary” imposition of the requirements, Sachs wrote, “adequately establishes that these plaintiffs are very likely to receive relief” – a requirement for the issuance of a preliminary injunction. 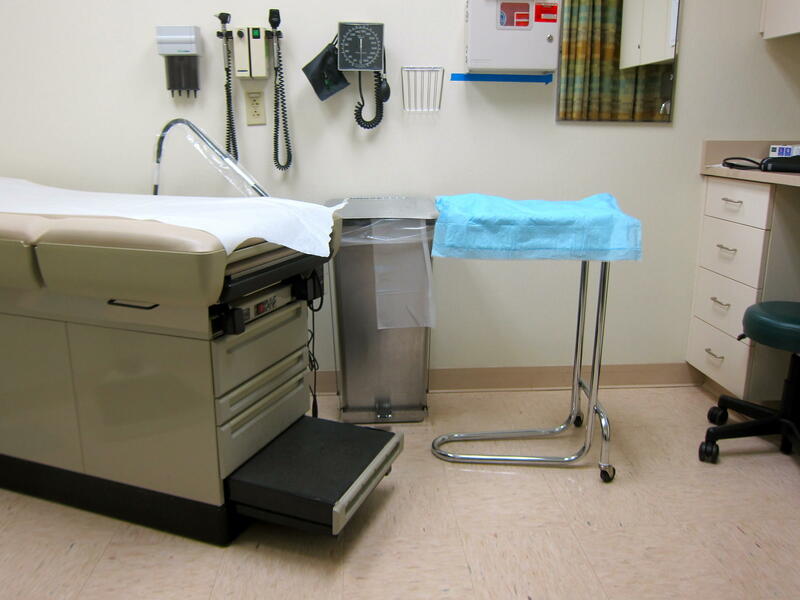 “The ability to function as abortion clinics and to perform abortions is crippled in Columbia, Springfield and Joplin, and to some extent in Kansas City, by reason of the statutory and regulatory hospital affiliation requirement for doctors,” Sachs wrote. Howie Sachs is another killers’ helper from the Clintonobamas. Trump doesn’t know abortion from miscarriage but at least he’ll appoint pro-life Howies who will screw up a little the policies of the next presidential killers’ helper.